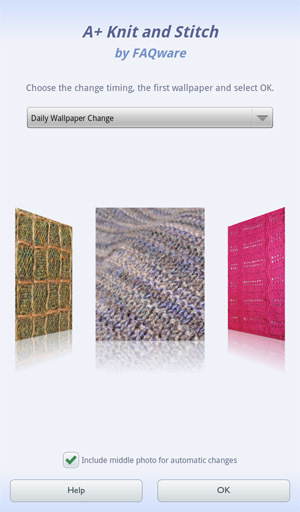 See the latest designs with our A+ Knit and Stitches Wallpaper app in the Nook Marketplace! Knitting stitches that inspire fabulous creations. 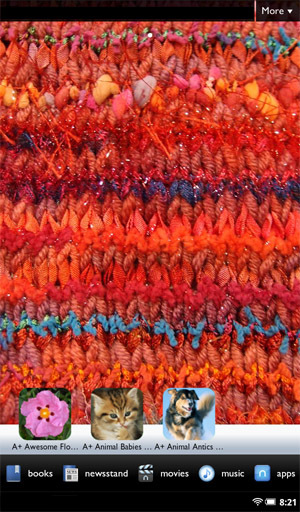 Personalize your device home and lock screen with over 40 detailed photos of fascinating knitting stitches. Get ideas and enjoy the beautiful colors and yarns. Each selected and optimized specifically for the device's HD screen. Photos change automatically each week, day, hour, or have a single photo you can change with a swipe! Enjoy seeing your favorite hobby each day with these wallpapers. 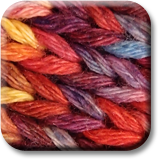 And check out our popular �A+ Colorful Yarn Stash Wallpapers� too! From here, just select the Live Wallpaper tab and tap the A+ Knit and Stitch choice.